Evangeline Cory Booth was a Christian social reformer who dedicated her entire life to helping the poor. In the United States today we still revere the Salvation Army as a great humanitarian organization that relieves the suffering of the impoverished and aids in disaster relief. As a leader in the Salvation Army, Evangeline brought comfort to the poor and the downtrodden. Evangeline was a great speaker, evangelist, fundraiser, and organizer. Evangeline (Eva) Cory Booth, the seventh of eight children born to William and Catherine Booth, was born in London on December 25, 1865. In a previous posting (12-13-12) we related the story of her mother who was known as the Mother of the Salvation Army – Catherine Booth. Together with her husband William Booth, Catherine began her ministry to the very poorest of the poor in England. They trusted God to provide for them as they visited the downtrodden in the inner cities where they knew that they would receive no pay for their work. Catherine was so grateful for her own salvation that all she could think of for the rest of her life was to tell others about Jesus. Catherine and William Booth put feet and hands into the Gospel message by working among the outcasts – prostitutes, alcoholics, and criminals. The founded the little Whitechapel mission that became The Christian Mission that would eventually become the Salvation Army. This Army of Christ would be made up of men and women. At first, William did the only speaking at evangelistic meetings but eventually Catherine would speak at many of the meetings encouraged by her husband. And the Booth’s children, even the daughters would follow in their parents’ footsteps and become involved in full time mission work as well. As a child Eva would often sing or play music at her parents’ evangelistic meetings. When she was fifteen, Eva began preaching. The Booth daughters were not ordained and did not serve in parishes. They filled the roles of ministers and evangelists. They conducted Camp Meetings along with many other nineteenth century evangelists. Old timers remembered the “battle for souls” waged by the Army. Often hundreds would respond to the Gospel with penitence. William was proud of his daughter’s speaking ability and encouraged her. Eva also had great organizational skills. William promoted Eva to the rank of Field Commissioner in the Army. 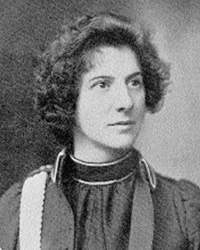 Eva became head of the Army’s International Training College and the head of the Salvation Army in London for five years. Her father’s favorite, William also recognized Eva’s skill as a reconciler. When trouble flared up, William would send Eva in as a trouble-shooter to calm the waters. Eva was charming and tactful and could disperse angry mobs and soothe dissenting leaders. Eva’s sisters married, but Eva herself would remain single for the rest of her life. At one time she wanted to marry a Salvation Army major, Thomas McKie, but William rejected the man’s request for his daughter’s hand. William believed that Eva could serve the Salvation Army best as a single officer. Later Eva did adopt and raise four children, one of whom, Pearl, grew up to become a Salvation Army officer herself. Eva became the Territorial Commander of the Salvation Army in Canada from 1896-1904. At this time her sister, Emma Booth-Tucker and her husband headed up the Salvation Army in the United States. Emma and her husband were killed in a tragic train accident in 1903. Eva was appointed head of the Salvation Army in the USA in 1904. She changed her name to Evangeline and went on to serve as the Commander of the American Salvation Army for thirty years. It was during her first Christmas in New York when Evangeline began the work that we are most familiar with today – providing food for starving children. When Evangeline heard that there were over 70,000 children going without breakfast, she organized the effort to collect money to feed over 30,000 people on Christmas day. Evangeline threw herself into her work tirelessly. She expanded the work of the Army by setting up soup kitchens, emergency shelters, opportunities for the unemployed, hospitals for unwed mothers, work in prisons, and homes for the elderly. Evangeline Residences were opened to provide a safe place for working women to live. People remember Evangeline as a compassionate woman, thoughtful and kind, genuinely sympathetic with the poor and downtrodden, and a dedicated evangelist. Evangeline had a magnetic personality and was able to hold audiences spellbound for hours. She could charm large fortunes out of the wealthy for the Army. Evangeline responded with emergency relief assistance after the earthquake and fire in San Francisco in 1906. This was the first time the Army organized a large-scale relief effort for a natural disaster. These efforts have continued to this day. 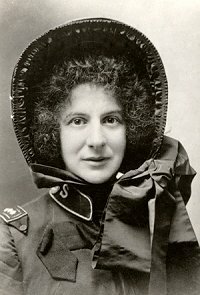 During World War I, Evangeline persuaded the US government to allow the women in the Salvation Army to serve overseas. One of the women came up with the idea of making doughnuts for the solders. It was a huge success. Soldiers were grateful and appreciative for the “doughnut girls” who were brave enough to serve the men in the front lines. President Wilson awarded Evangeline the Distinguished Service Medal in 1919 for her service. 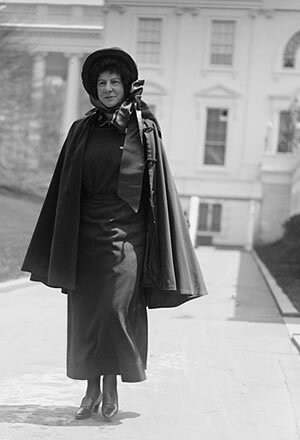 In 1923 Evangeline adopted the United States as her permanent home becoming a naturalized citizen. Evangeline became the International Commander-in-Chief in 1934, the first woman General for the International Salvation Army. She launched her “World for God” campaign and began traveling and speaking all over the world. For five years Evangeline was the Salvation Army’s leader in over fifty countries. On her travels she inspected the Army stations and initiated new work throughout the world in such places as India, Australia, New Zealand, and Japan. At one of her meetings in India Evangeline drew a crowd of over twenty thousand people. She spoke for an hour and 5000 people seeking salvation responded to her message with prayer. While Evangeline was significant in the growth of the Salvation Army worldwide, she is mostly remembered for her work in the United States. Evangeline played the most significant role in winning the respect for the Salvation Army that it still enjoys today. One can still go anywhere in the United States at the Christmas season and see the Army volunteers, the familiar bell ringers, collecting money for the poor.